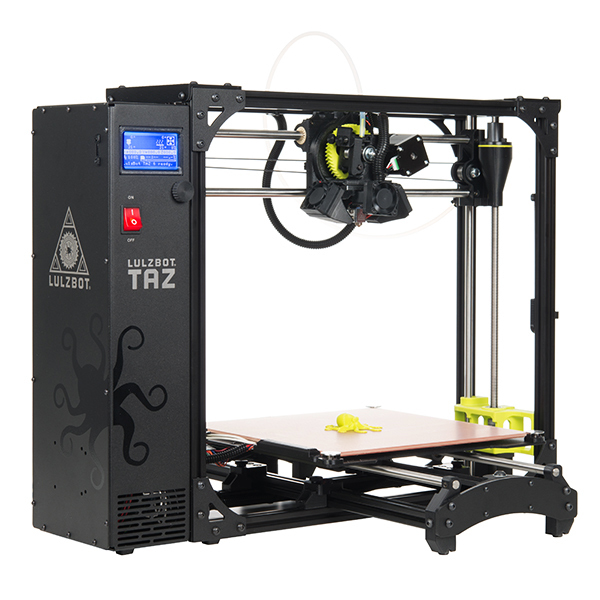 The LulzBotÂ® TAZ 6 is the most reliable, easiest-to-use desktop 3D printer ever, featuring innovative self-leveling and self-cleaning, and a modular tool head design for flexible and multi-material upgrades. This 3D printer is able to facilitate more consistent, higher quality prints than ever. The TAZ 6 features tetherless printing through an SD card with a versatile, multi-functional graphic LCD controller, an internal power supply, and boasts a spacious 11.02in x 11.02in x 9.8in print area with a controllable heat bed that can print large items, or many small items. 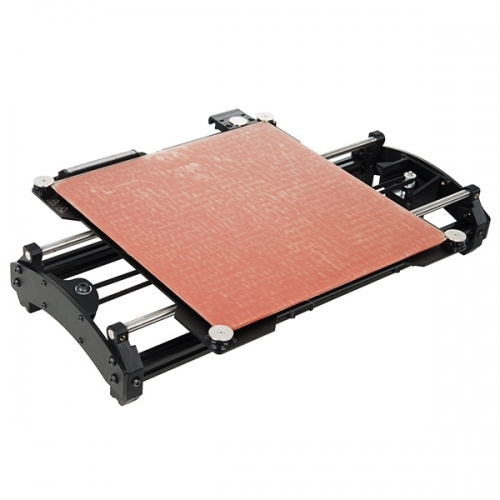 What can you print with? 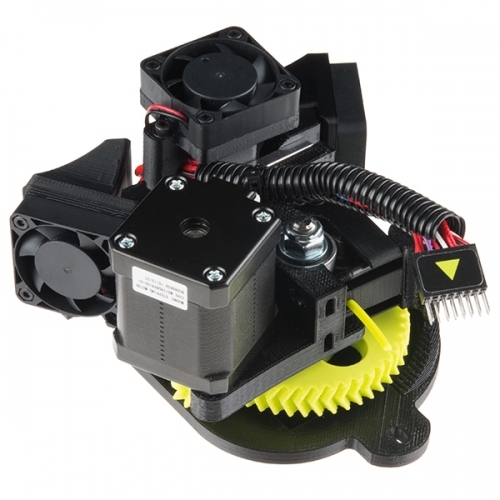 LulzBotÂ® users have many filaments options beyond common plastics like PLA, ABS, and HIPS. The TAZ 6 features the all metal LulzBotÂ® Hexagon Hot End, which can heat up to 300Â°C (572Â°F). The TAZ is even capable of printing in even more materials! Advanced filament options like the polycarbonite, INOVA-1800, and PET materials can also be used with this 3D printer as well. Perfect for both large and small objects, the heated PEI build surface keeps your 3D printed objects in place when hot and releases when cool. All LulzBotÂ® products are Libre/Open Source Hardware, meaning you can adopt the latest and greatest technology being developed across the 3D printing market. From experimental filament materials and the modeling software of your choice, to new accessories like hot ends and print surfacesâ€”experience the joy of user freedom! LulzBot’s Libre/Open philosophy empowers you to download/print upgrades and replacement parts for your 3D printer, and make whatever modifications you want! Note: 3D printing with carbon fiber filaments is not recommended at this time because carbon fiber filaments can degrade both the nozzle and hot end of the LulzBotÂ® TAZ 6 Tool Head. Print Surface: Heated borosilicate glass bed covered with PEI print surface. Supported Materials: ABS, PLA, HIPS, PVA, wood filled filaments, Polyester (Tritan), PETT, bronze, copper, stainless steel-filled filaments, Polycarbonate, Nylon, PETG, conductive PLA and ABS, UV luminescent filaments, PCTPE, PC-ABS, Alloy 910, and more every day.